In 1957, the Soviet Union launched its Sputnik satellite, spurring the US to push for better education and technological savvy in order to be competitive in what was soon dubbed the Space Race. But the Space Race also had benefits at home, fueling spending and stimulus programs to encourage the potential of the country’s brightest students to keep the country competitive in a rapidly changing world. Fast-forward to 2012, and a new report on US education that announced that only one quarter of high school students studied had basic competencies in writing. Other statistics are equally dismal: the 2009 Program for International Student Assessment revealed that of the 34 developed democracies studied, US 15 year olds ranked 14th in reading, 17th in science and 25th in math. Many can’t even locate their own state on a map or find a foreign country such as Afghanistan. If students can’t find those foreign countries, though, it’s clear that many businesses can – that’s where they’re going to find workers for jobs ranging from factory work to technology development. Statistics gathered by the number-crunching website Statistics Brain reveal that in 2011, the US outsourced over 2 million jobs, primarily to China and India. Among the reasons given by company CEOs? Along with the obvious – cheaper labor – comes another, more disturbing one: for some jobs, those foreign workers are simply more qualified, better skilled in areas like science and math. not more—on the intellectual capital of its citizens as it does on the physical capital of manufacturing and other kinds of labor. 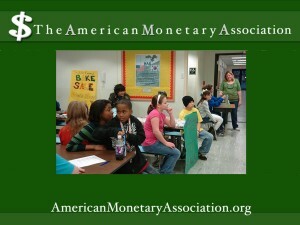 The shortcomings of American students today have a profound effect on the country’s prosperity in future years. Since the days of Sputnik and before, efforts to reform the nation’s educational system have been met with mixed results. Standardized education, with the goal of making sure everybody knew a certain core set of information, hasn’t been particularly standardized, as the long lists of “underperforming” schools attest. And with limited alternatives and financial aid, high achieving but low-income students too often fail to get the support they need to continue their studies. underachieving Louisiana offer hope for change. Changes introduced by Gov. Bobby Jindal include greater school choice and a shift toward better teacher accountability and merit based pay increases, as well as interventions for at-risk students. Other states are following suit.